I love the holidays! All the feelings of love, family, and friends, everything about the holidays just warms my heart. But what I love most about the holidays, is bringing together my favorite people and fur babies for a joyous gathering as we reflect on the year. 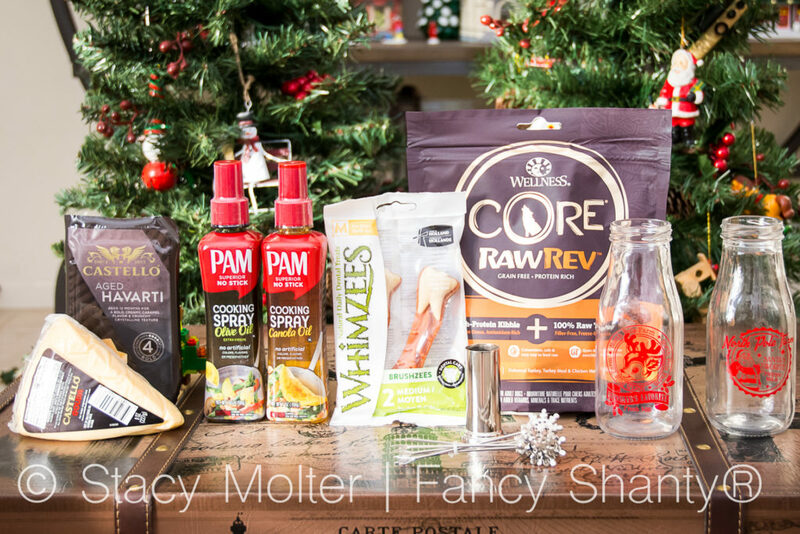 To be sure everyone has an amazing time at our merry party there are a few holiday brands I always include in our celebration. Here are 5 of our favorite holiday brands to get you into the holiday spirit that you should include in your celebration this year! 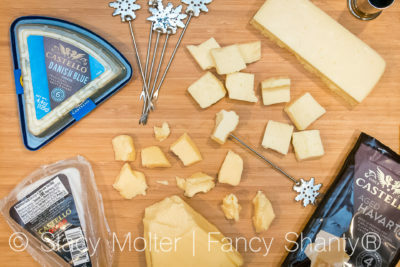 I'm a firm believer that every celebration needs cheese, especially when it comes to holiday celebrations. There are just so many flavors of cheese available, from sweet to salty, that you're sure to find a flavor any guest will love. Best of all, gourmet cheese and a cheese board and appetizers get guests up and moving to encourage festive conversations between family and friends. Castello Cheese offers a wide variety of cheese products including Castello Aged Havarti, Castello Gouda, and Castello Traditional Danish Blue. And, if you're not sure how to create the perfect cheese board, try their Cheese Board Builder which will help you select the perfect cheeses for your flavor preferences. For my preference of creamy mild, traditional cheese, it recommended Double Crème White, Extra Mature Cheddar, and Creamy Havarti paired with grilled asparagus spears, stone ground mustard, honeycomb, Brioche, Speck, Peaches, and Lambic. Now that you've picked out your menu including a delicious cheese board, you need a festive way to serve your appetizers. Cracker Barrel‘s Snowflake Hors D’oeuvres Picks are not only adorable, but they are sturdy and reusable. Best of all, snowflakes go beyond Christmas days and these appetizer picks can be used all winter long. 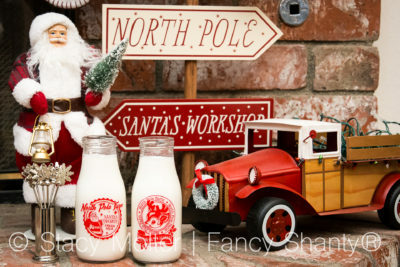 Their Reindeer Glass Milk Bottle, Santa Glass Milk Bottle is giving us all the holiday feels. Not only are these festive Christmas milk bottle perfect as a table accent, but they're also perfect for filling with red and green candy, and serving St. Nick a glass of cold milk on Christmas Eve. 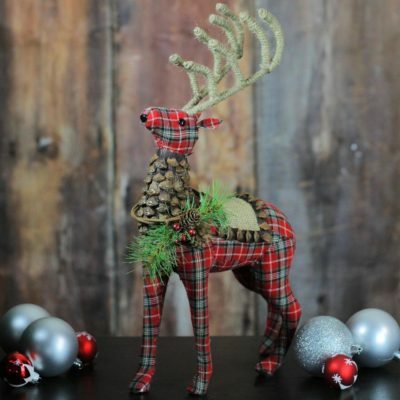 Christmas Central is your one-stop shop for all holiday décor needs, like this 16.75″ Holiday Moments Red Plaid Standing Stuffed Reindeer Christmas Decoration. Christmas Central provides one of the largest online selections of Christmas decorations, home décor, lighting, trees, and outdoor living items. Their shelves are stocked 365 days per year, and products are shipped from their Buffalo, N.Y., warehouse in less than two days from your purchase. They offer everything from the smallest ornament to the tallest artificial Christmas tree and everything in between. My favorite styles they sell are Roman's copper collection and nativity scenes, Diva at Home's festive pillows, and Department 56's village collection. A brand my family has been collecting for over 30+ years. When it comes to baking for your holiday feast, PAM Cooking Spray reduces fat and calories by helping you control how much healthy oil you use. Your body and your guests will love you for that! 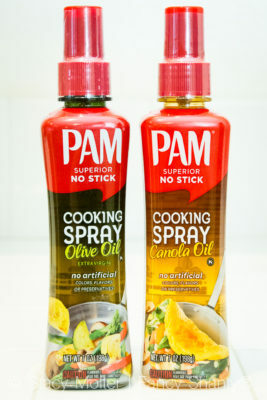 We're reviewed and recommended Pam Cooking Spray a few times on our site simply because we love this product! Yes, it absolutely helps control how much cooking spray you use, and it also helps kids who are learning to cook learn to control their portions. This one is for the pups because they all deserve a special holiday wellness pet food during the holidays. Wellness: CORE Natural Pet Food is a convenient, safe and easy way to incorporate raw protein into your dog's diet. The grain-free, high protein bites help promote a lean body mass and muscle tone. 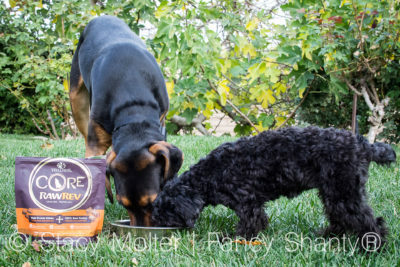 And as you can see, our pups love this core dog food. It was like an early Christmas treat for them to enjoy. 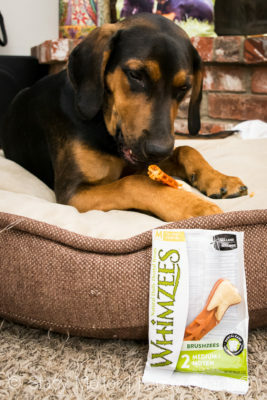 WHIMZEES chews are a daily dental treat to incorporate your dog into your family’s everyday brushing routine. With only six primary ingredients, WHIMZEES freshens breath, promotes gum health, and cleans teeth. Brushzees from WHIMZEES is the new shape of clean. Redesigned grooves and ridges on their new daily dental treats help remove plaque and tartar like never before. Engineered for the ways dogs grip and chew, they turn playtime into fresher breath and cleaner teeth, giving dogs a reason to jump for joy. Bonus, WHIMZEES are, natural, gluten-free, and vegetarian. What are your favorite holiday brands you use each year? Share them in the comments below!